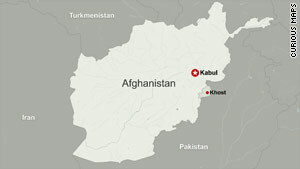 Different Taliban groups are making varying claims of responsibility for Wednesday's attack in Khost Province. Washington (CNN) -- It was one of the worst blows ever to America's intelligence community -- a suicide bombing that killed seven CIA officers in Afghanistan. Now U.S. enemies seem to be competing to garner credit for last week's attack. The varying claims of responsibility from Taliban groups in Afghanistan and Pakistan may be both complementary and competitive as militants seek to spread the word and attract fresh donations and recruits, analysts said Sunday. "It's a tremendous boost for any group out there that can claim killing CIA" officers, said Richard Barrett, coordinator of the United Nations Taliban and al Qaeda Monitoring Team. Details about Wednesday's attack are murky. A senior U.S. official said information suggested a bomber walked into a gym facility at Forward Operating Base Chapman, located in Khost Province near the border of Pakistan, and detonated bombs in a suicide vest. It was not known how the bomber got past security. In a posting on its Web site Thursday, the Taliban in Afghanistan claimed the bomber was an Afghan National Army soldier. "It was a revenge for the killing of Baitullah Mehsud and the killing of al Qaeda's Abdullah by CIA," the message said. Baitullah Mehsud was the former Pakistani Taliban leader killed in an August missile attack, while the reference to Abdullah was unclear. "The suicide bomber was a Jordanian national. This will be admitted by the CIA and the Jordanian government," the message said. Barrett and two other experts interviewed Sunday by CNN said the location of the attack and the ability to infiltrate a CIA operation indicated that the Afghan Taliban were responsible. Reva Bhalla, director of analysis for STRATFOR, an international intelligence company, said initial reports indicated a local tribesman gained the trust of the foreign operatives by providing information needed for missile strikes by unmanned drones in the border region. Eventually, the tribesman -- essentially a double agent -- became an operative by carrying out the bombing, Bhalla said. She stressed her information was unverified, but said it pointed to an Afghan Taliban operation. The attack was "a huge blow, symbolically and tactically," because it eliminated such a large number of CIA officers who can require years to become ingrained in the region, Bhalla said. In addition, the attack showed the ability of the Taliban to penetrate perhaps the most difficult of targets -- a CIA base, she said. To Fawaz Gerges, professor of Middle Eastern politics at the London School of Economics, such infiltration would be extremely difficult for a foreigner, as claimed by the Pakistani Taliban. Gerges called it unlikely for a Jordanian to acquire the necessary cultural assimilation -- including language skills -- to gain access in the tribal region. While the differing claims of responsibility may benefit groups on the ground by raising their profile among local populations, they also reveal a lack of cohesiveness between the Taliban groups in Afghanistan and Pakistan, Gerges noted. "The fact that both sides have taken credit tells me there is not much coordination and collaboration between the two groups," Gerges said. "These brave Americans were part of a long line of patriots who have made great sacrifices for their fellow citizens, and for our way of life," President Obama said in a written statement. "The United States would not be able to maintain the freedom and security that we cherish without decades of service from the dedicated men and women of the CIA." Among the Taliban and other Islamic extremists fighting U.S. forces, the CIA is considered one of the most enviable targets because it represents a hidden force attacking militant leadership, Barrett said. In addition, a suicide bombing is a "more daring and successful operation" than a roadside bomb, further enhancing the reputation of those believed to have pulled it off, Barrett said. The fluidity of Taliban networks means that even though different people are claiming responsibility, they could represent the same general cause and complement each other in raising their profile while boosting recruiting and attracting more donations, according to Barrett. For the Pakistani Taliban, claiming credit for the attack also could bring the desired goal of increased U.S. military activity against Taliban and al Qaeda targets in Pakistan, Bhalla said. U.S. attacks by unmanned drones and other military support in Pakistan are politically volatile, threatening stability as the Pakistani Taliban seeks to undermine the government, she said. "We've seen how the [Pakistani Taliban] has been able to exploit drone attacks" for recruiting purposes, Bhalla said. The attack killed Sadiq Noor, a teacher, and his 9-year-old son, according to the sources, who said the missiles were believed to have been fired by an unmanned drone. There was no immediate U.S. confirmation of the attack.